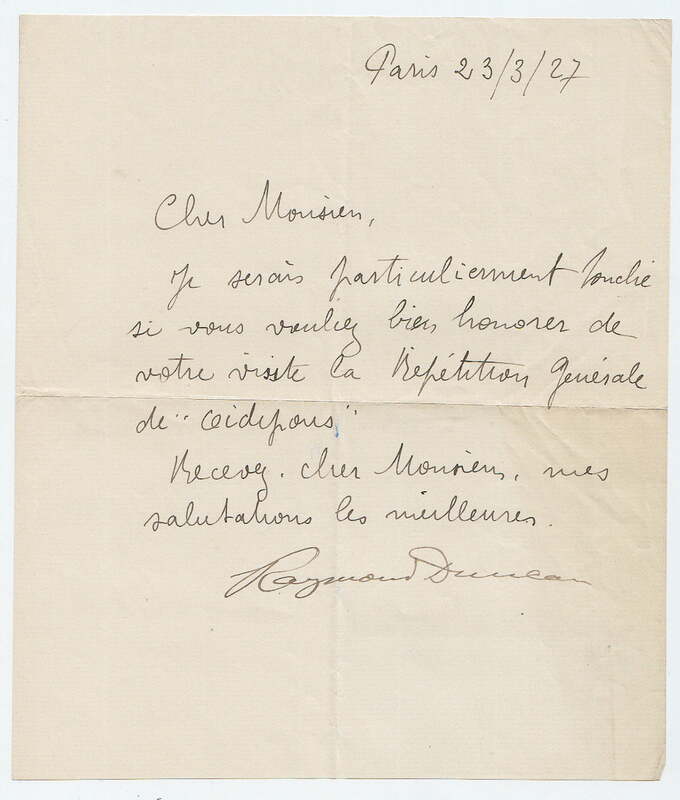 Letter Signed ‘Raymond Duncan’, saying he was much moved by his correspondent’s attendance at the rehearsal of Oedipus. In French. 1 page 8 x 7 inches, in good condition. Paris, 23 March 1927. Raymond Duncan (1874, San Francisco – 1966, France), American dancer, artist, poet, craftsman, and philosopher, and brother of dancer Isadora Duncan.